I woke up last Saturday morning with a craving for some strong coffee and a muffin. I fumbled sleepily over to my cookbook collection and knew right away that Dorie would have something perfect for me to bake. 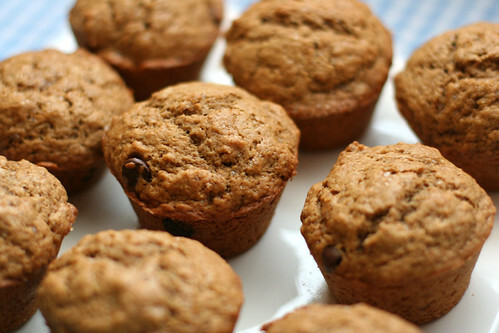 Muffins moistened with strongly brewed coffee and flavored with espresso powder? Yes please! I threw in a handful of chocolate chips to the batter and added a sprinkle of turbinado sugar to each muffin, which made for the perfect cozy Saturday morning treat. p.s. These are the first food photos I've taken with my new 50mm/f1.4 lens (thanks for the best birthday present, Dad!). Hoping to take my photography to the next level...ready, set, go! 1. Center a rack in the oven and preheat to 400F. Butter or spray with nonstick baking spray a 12-cup muffin pan. Place the muffin pan on a baking sheet. 2. In a large bowl, whisk together flour, sugar, espresso powder, baking powder, cinnamon, and salt. Stir in the brown sugar, breaking up any lumps. In a large glass measuring cup or another bowl, whisk together coffee, melted butter, egg, and vanilla extract until well combined. 3. Pour the liquid ingredients over the dry ingredients. With a whisk or rubber spatula, gently but quickly stir to blend, adding chocolate chips at the last minute. Don't worry about being thorough, a few lumps are better than over-mixing the batter. Divide batter evenly among muffin cups and sprinkle each muffin with a bit of turbinado sugar, if using. 4. Bake 18-20 minutes, or until a tester comes out clean. Transfer the pan to a rack and cool for 5 minutes before carefully removing each muffin from the pan. Gorgeous photos Amy! I'm glad you're enjoying the lens =D. Those muffins look awesome!! Yummy!! 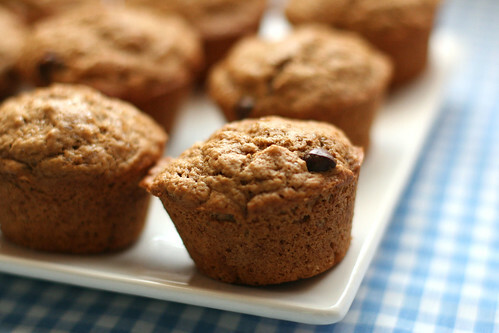 I have made those muffins before and loved them!! Yours look perfect!! These look incredible, can't wait to try them out myself. I love that you added the chocolate chips. The blend with the coffee must be the greatest flavor. Those look amazing. I can definitely see myself making them one weekend soon!